It's September and the late-summer heat and humidity is back. But this past Friday and Saturday mornings autumn sent us a teaser of a message, with cool mornings and a full lineup of college football, and told us she was boarding the plane soon and would be here before we knew it. I will consider the fall of 2016 to be my first autumnal experience here in Memphis. We arrived last year in late October but didn’t move into our place in Midtown until mid-November, spent most of our time unpacking, settling in, in Oxford and Collierville for the holidays, and just like that I was finally exploring Midtown and Downtown in barren bits ’n pieces in December and January. So this year’s fall will be the first I can enjoy from the first scarf to the last autumn leaf. And I’ll tell ya, I can’t wait. Because we didn’t have a traditional fall in southern California. We had fire season. (Or as recent history suggests, an extension of fire season). On Labor Day weekend, when much of the country was finishing up their summer novels and looking forward to cooler temperatures, we in SoCal would be dreading the arrival of the dry, hot Santa Ana winds that blow in from the desert and turn sparks into multi million-dollar disasters. I know, many people like the year-round mild weather SoCal has to offer. Me, I found it boring and sometimes maddening, and even a little gross. Southern California sits in a basin, ocean on one side but otherwise surrounded by mountains, and the weather just sits. That’s why LA has its reputation for smog. The air has nowhere to go. Changes in the weather? Maybe in a few months it’ll drop below 60. We didn’t get the thunder storms - we might have had one a year at best - there were no sudden afternoon downpours followed by sunshine and rainbows. And with none of the trappings that come with it: no Cicada serenades, no dancing lightning bugs at dusk. And no sneak peeks of the crisp autumn air to come like what we had at the beginning of this past weekend. 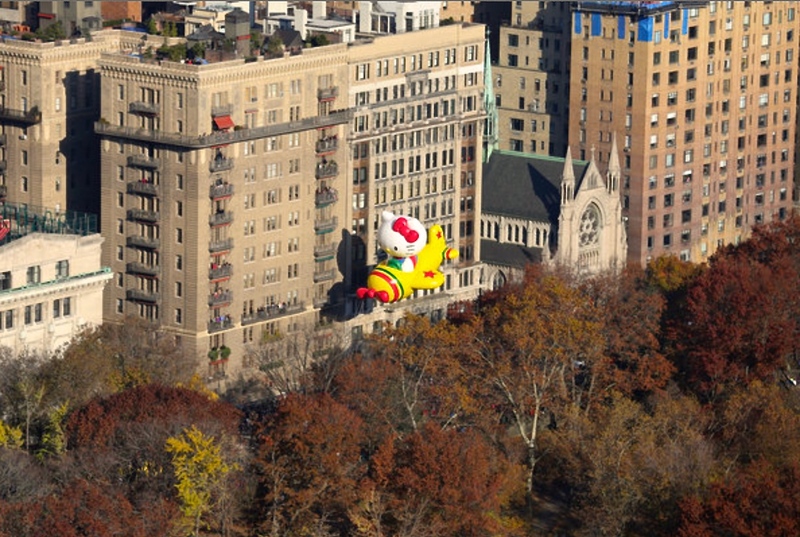 As a kid I longed for the nostalgia that arrives with a traditional autumn, and I would watch the Macy’s Thanksgiving Day Parade thinking That’s what autumn is supposed to look like! Thankfully over the last twenty years I had huge helpings of it with visits to New York and New England. And I got tastes of it last year with drives down Central Avenue and Walnut Grove, driving through endless showers of crisp orange and red leaves against backdrops of bright blue skies, looking forward to warming up to boots, wool coats and turkey dinners. And football. The opening of the college football season is as much a sign of fall as the changing leaves. 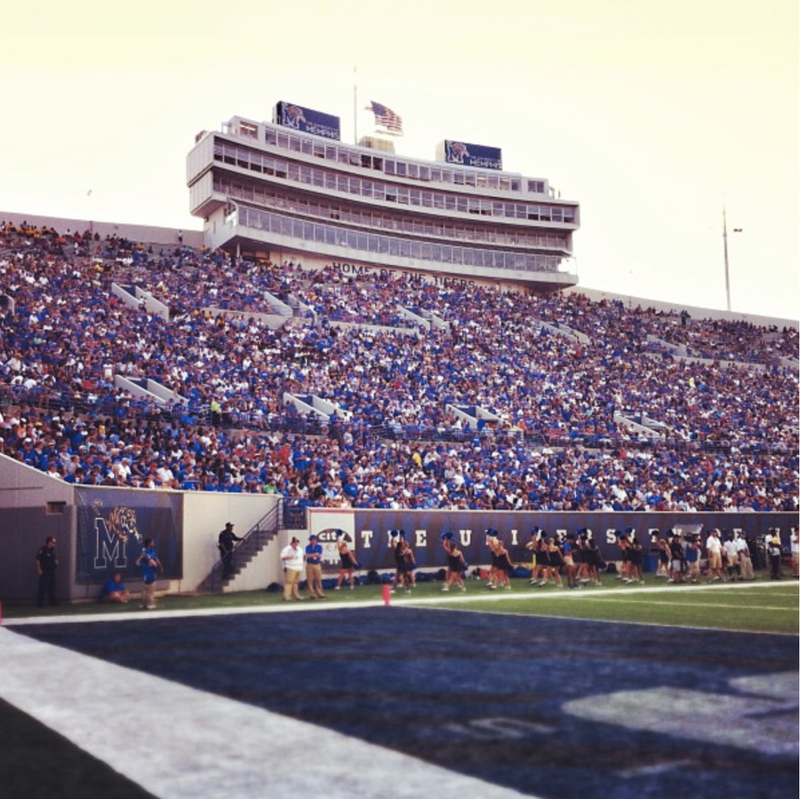 And college football in Memphis, like everywhere else in the South, means so much more here than it does in California. Here it means many things to many people. Saturday afternoons and football parties and chips and beer and raw emotions. And to some it’s blue and gray, to others it’s orange and white. To some it’s red and blue, to others it’s white on maroon. As for me, frankly, I’ve always been more of a baseball fan. To me fall means pennant-fever baseball, when the season is winding down and teams are battling for those playoff spots, when every game seems so critical. 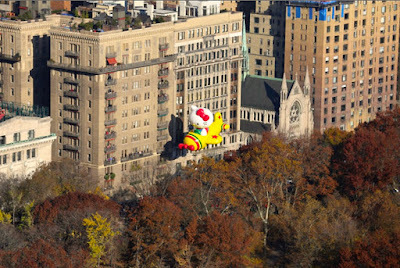 Some of you know by now that though I grew up in Cal, I have deep roots in New York. My great grandfather, my grandfather and my father all attended baseball games at the big ballpark on 161st Street, the Bronx, New York. That’s Yankee Stadium. Of course, that makes me a Yankee fan (insert jeers here if you like). A fourth-generation Yankee fan to boot. I’m not one of those fans who latched on in the late 90s when the Yanks were baseball juggernauts. My allegiance goes way back, to before I was ten, when a guy named Bobby Murcer was still patrolling center field in the old Yankee Stadium in the early 70s. It’s been in my blood ever since. From the Bronx Zoo Martin-Munson-Jackson years to the hopeful 80s when Don Mattingly - my favorite player ever - anchored first base. From the sad early 90s teams to the record-setting Torre and Jeter teams of the late 90s, and to Jeter’s goodbye in 2014. I’m not a fan of the big new and overpriced Yankee Stadium that opened in 2009 - I miss the old Stadium. I was never an A-Rod fan - my favorite Yankee third-sacker was Craig Nettles. However, shortly after arriving here in Memphis I quickly grew fond of our ballpark downtown, at 200 Union Avenue. Now I’ve been to many ballparks around the country, major and minor leagues, and for my money AutoZone Park is one of the very finest ballparks in all of baseball, period. In addition, as a baseball fan over the years my favorite all-time National League player happened to be Stan “The Man” Musial, one of the best hitters to ever slap a fastball into the gap in right-center, and a life-long St. Louis Cardinal. So you know where I’m goin’ with this, right? Yep. I proudly root root root for the Redbirds, keep an eye on the Cardinals, and cheer on my transitioning Bronx Bombers. Cardinals-Redbirds-Yankees. Memphis-New York. It’s a happy marriage. Ask our new Redbird’s owner. He’s from New York and owns a minor interest in the Yankees. And this New York-Memphis connection? It’s an interesting phenomena. Many Memphians are apparently big fans of the Big Apple, and some are even New York transplants! It’s great to be able to talk about a city, the NY, that has no real rivalry with Memphis, but instead a kind of kinship that I still haven’t completely figured out. Kinships and rivalries. Takes me back to football. And you may wonder, where are my allegiances? Who’s he pullin’ for? In my college days in southern California I attended classes and extension courses in no fewer than four schools. I spent six years, from Orange County to Hollywood, in classes for the arts and film and theater and writing and screenwriting. Pledge a fraternity? Nope. Go to football games? Nope. I was Acting or Writing or Directing. And Working! Working to pay my way through college and cheap rents. I did however root for UCLA. It was the school I had set my sights on when I was still a cocky high school kid. I had the grades and the qualifications but in terms of distance and expense it just wasn’t in the cards. So he’s a Bruin fan? Well, more or less. I keep on eye on Bruin basketball and I check the Sunday sports pages for Bruin football scores. And that’s about it. But that kind of casual fandom doesn’t sit too well here in the South. Ya gotta pick a team here, son! Who’s it gonna be? The Vols? The Tigers? Ole Miss? Don’t tell me Miss-sippy State?! Well now that’cha got me backed into a corner, I’ll say this: My brother-in-law’s alma mater is that university down in Oxford. I’ve side-stepped the mud through The Grove. I’ve watched games with my dear brother from another mother late into Saturday evenings and yes, found myself rooting for the Rebels of Ole Miss. But that was last year, and something happened this year on this side of the Tennessee state line. As many more of you know, I fell in love with this town. I fell in love with the neighborhoods, our fine people, our history, and our way of life here in Memphis and Midtown. And some of my favorite drives are out along Central Avenue and past Highland, or down along Southern Avenue, and past the former Memphis State. With my love for all things Memphis, how then could I not be a University of Memphis Tiger’s fan?! I simply must root for the blue and the gray. I have to open up the CA’s sports page (what’s left of it - if I wanted to read dumbed-down USA Today I would have) and check out how our new coach is doing, how the defense stacks up, how our new up-tempo offense will fair, or why we were inexplicably dropped from Big-12 consideration. And I have to curse and wonder when the SEC network or a local station doesn’t air the damn game on the opening Saturday night of the 2016-17 college football season! So I’ve become a Tigers fan. 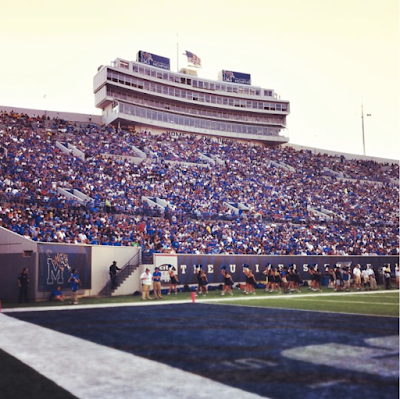 And in adding Tigers’ football to my Memphis experience, I can truly say that this fall really will be my first. Last year I hadn’t even gotten my feet wet. This year I’m knee deep in it, and lovin’ all of it. Call me a convert. Once I refused to acknowledge football season until after the last out of the baseball World Series. Now I look forward to the very first kick-offs. Beyond playoff baseball I once looked upon the arrival of September and October with the blahs. Now, I can’t wait to see the slow transformation of our Midtown streets. I can’t wait to see the scarves and wool coats come out. Once I ignored the onset of Halloween, now I look forward to seeing how all the neighborhood kids dress up (although I still don’t think I can swallow the macabre house decorations). So if you’re one those Memphians who still think It’s better somewhere else, think again. Because for this city, just like the oncoming fall, change is coming soon. Just as it does every three or so months, and every year, things are changing for the better. You don’t live in the upper Midwest or the Northwest, where the joke is always “We have two seasons: winter and August.” You don’t live in basin-like cities where the weather stagnates like bad bathwater, and you don’t live in a city where changing seasons mean deep freezes that last until June. You don’t have dream of idyllic fall days and autumn leaves, because we have them here. You don’t have look out over the country with envy that everyone else is getting a real fall. You can live it. You can experience the richness that a Tennessee autumn has to offer. Revel in it, like it’s your first time. I know I will.